With just three days to go, the anticipation for Donald Trump as host of "Saturday Night Live" is growing, but so are the stakes for the candidate and NBC. Since being announced as "SNL" host last month, Trump's scheduled appearance has drawn a lot of attention, not all of it good. Protesters, who are angry that Trump is getting the national platform following his controversial comments about Mexicans, rallied outside NBC headquarters on Wednesday night. Protesters said they delivered more than 500,000 signatures to NBC for the network to "dump Trump" as host. Comedian John Leguizamo announced that he's boycotting the show and "won't watch 'SNL' anymore." NBC has not responded to the criticism and on Thursday said simply, "'SNL' has no comment." Nevertheless, Trump's appearance has the potential to bring in a large audience for the candidate and 'SNL' on Saturday night. 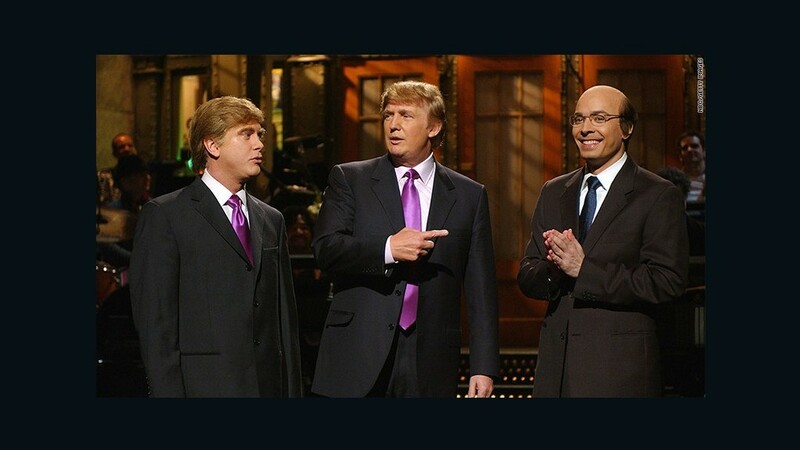 James Andrew Miller, author of "Live From New York, the Complete, Uncensored History of Saturday Night Live," said both Trump and 'SNL' could still benefit. "Trump may able to bring to the show some new viewers who haven't watched recently, and for his part he will get to bask at home base in front of a clapping audience. That will be a quintessential Trump moment," Miller said. This will be the second time Trump has hosted "Saturday Night Live." "SNL" is an American television institution that over its 41 year history has had the ability to boost a candidate's image in the minds of voters. Hillary Clinton won acclaim for a likeable turn as "Val the Bartender" during the season premiere of the show earlier this fall. But "SNL" can also skewer candidates, and the attention will be even bigger this weekend being that Trump is hosting and has been at the center of the early 2016 election campaign. Even short promos for the appearance have garnered widespread coverage because of a swipe that Trump took at Ben Carson -- a promo that was accidentally posted by NBC. Trump is also returning to his reality show roots at a network in which he hosted his popular reality series, "The Apprentice," for years. NBC is also a network that cut ties with the candidate in June after Trump disparaged many Mexican immigrants as criminals and rapists. Yet, away from the coverage and the controversies, "SNL" will also have the challenge of finding a way to top Trump. 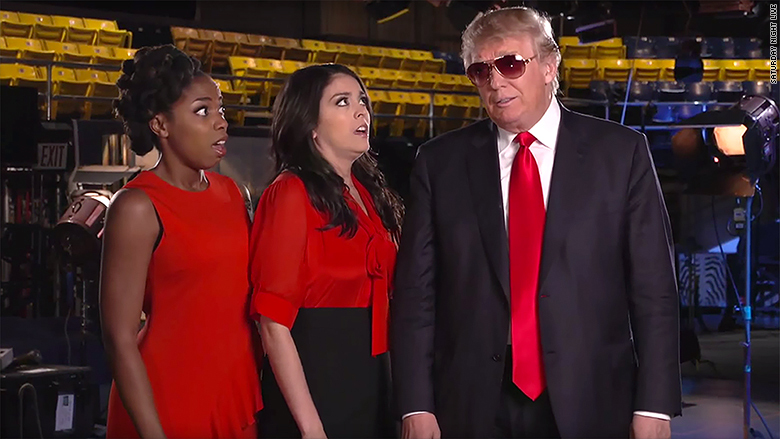 "The interesting thing about Trump on 'SNL' is that he's kind of a wildcard," Miller said. "It's not like 'SNL' can do a sketch where he says 'John McCain isn't a war hero.' He's already said that in real life, so they have to raise a bar he has already raised in real life."